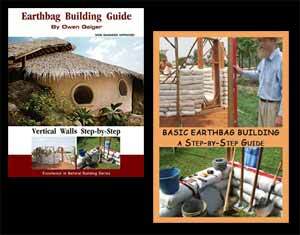 I did some further internet research and found out more about these interesting structures. 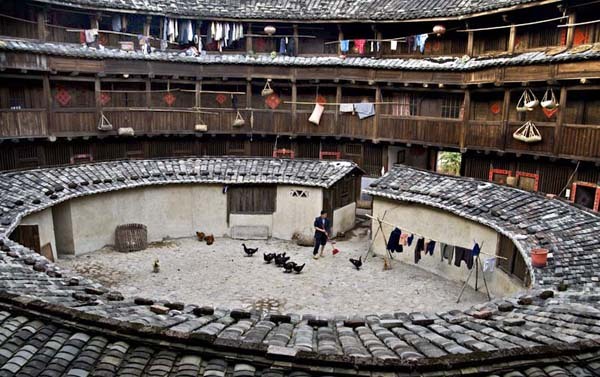 Tulou are traditional communal residences in the Fujian province of Southern China , often of a circular configuration surrounding a central shrine. Some of these vernacular structures were constructed of cut granite or had substantial walls of fired brick. The end result is a well lit, well-ventilated, windproof, earthquake resistant building that is warm in winter and cool in summer. 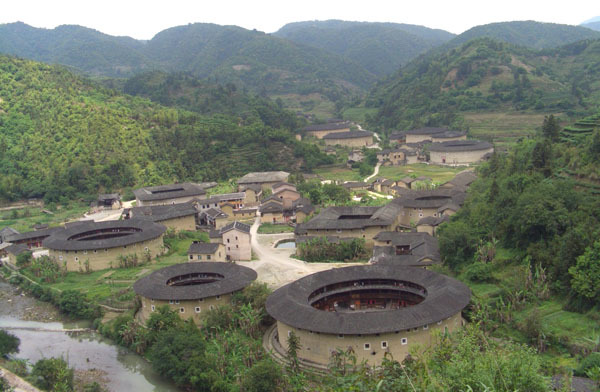 There are more than 20,000 tulou in southern Fujian , and these were designated as a UNESCO World Heritage site in 2008 as “exceptional examples of a building tradition and function exemplifying a particular type of communal living and defensive organization, and, in terms of their harmonious relationship with their environment”. Actually the Tulou were built by a minority called the Hakka, who were originally Han who fled south to escape war and famine during the Qin Dynasty (221-206 BC). As they gradually moved they changed the local architecture by incorporating Han styles and that produced the tulou. Not only were the high walls built for defense but they were also the result of traditional Han architecture. Tulou were mostly built between the 12th to the 20th centuries. The oldest one was constructed over 1,200 years ago and is regarded as a “living fossil” of the construction style of central China .